James and I have attended the Pacific Power and Sail boat show in the SF Bay Area for several years. It's a wonderful opportunity to learn; once you've paid your admission fee, there are free seminars all day every day. There are also, for an additional fee, daylong events with world-class experts. This year I attended a talk by Tanja Koster of Teach2Sail. I was blown away by her knowledge, teaching technique, and integrity. She was available for private lessons for a few days while she was in town and I jumped at the opportunity. The afternoon I spent with her on the water was a pivotal point in the development of my skill and confidence. 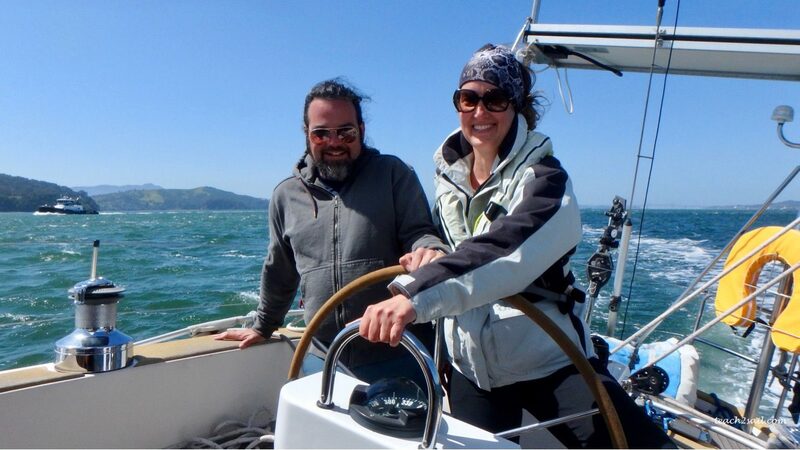 I'd never seen James look at with me with as much awe and delight as the first time I reefed our mainsail single-handed in 22 knot winds in the Slot (the strong wind and current that shoots across the SF Bay from the narrow Golden Gate) under Tanja's guidance. 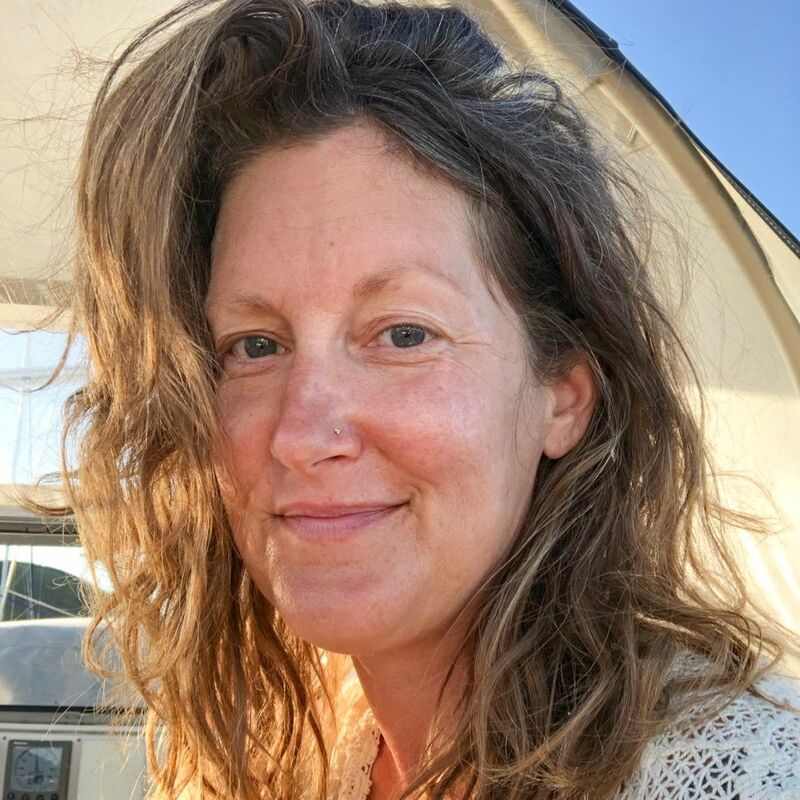 She will be seeing folks on the San Francisco Bay for lessons October 11-early November; her speciality is working with people aboard their own boat to improve their skills and confidence. We are very glad to have spent time with Tanja as part of our preparation for cruising. Tanja was invited to be the featured speaker at the Island Yacht Club/s annual Women's Sailing Symposium this year on Alameda and chose to make her voice a chorus by creating a brief documentary about several of her students. I am honored and delighted to be one of them. The little film is 15 minutes. I hope you enjoy it.